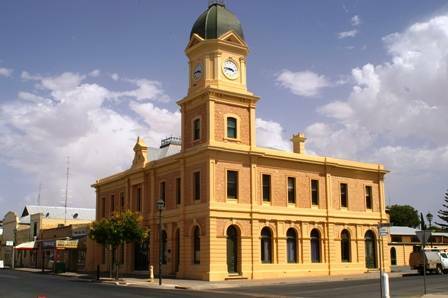 The Moonta Railway Station was erected by Gambling & Son of Adelaide, and opened in 1909. It replaced an original timber and iron station which was built in 1878. The present building is one of several built throughout the state of the same design, including the Wallaroo Railway Station, which has been altered in recent years. The station is set in spacious grounds, and is now home of the Moonta Tourist Office. Visitors have access to information on attractions, accommodation, community services, and special events. A large range of very affordable souvenirs, gifts and books are on display including “Australia’s Little Cornwall” A Pictorial Journey of Moonta featuring Moonta’s history from 1861 -2011.